Hello there! 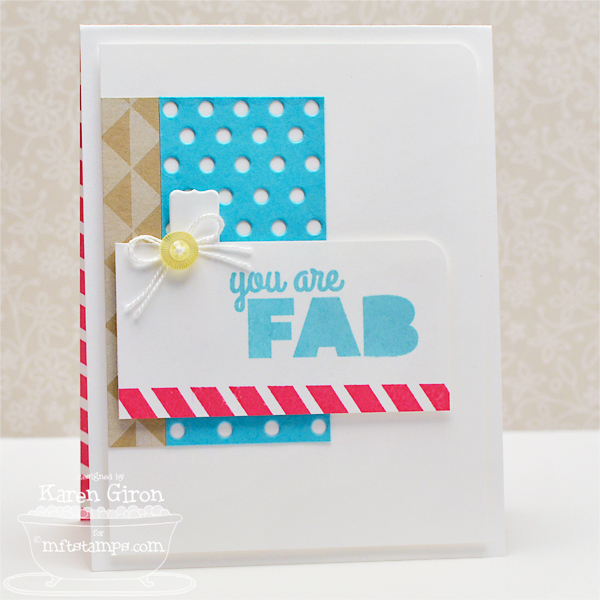 How fantastic is the MFT July release?!? All of the new products are available in the MFT Boutique right now and the design team is having a little July release rewind party tonight. 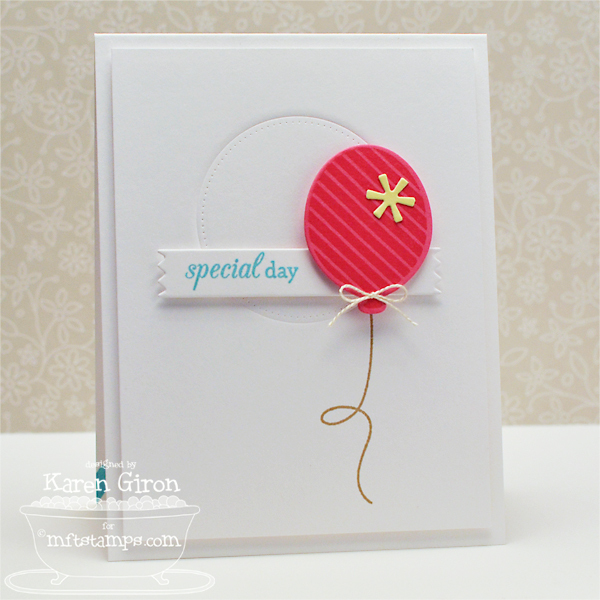 I have a couple of cards for you today - my first card uses Party Balloons and LJD Birthday Greetings. 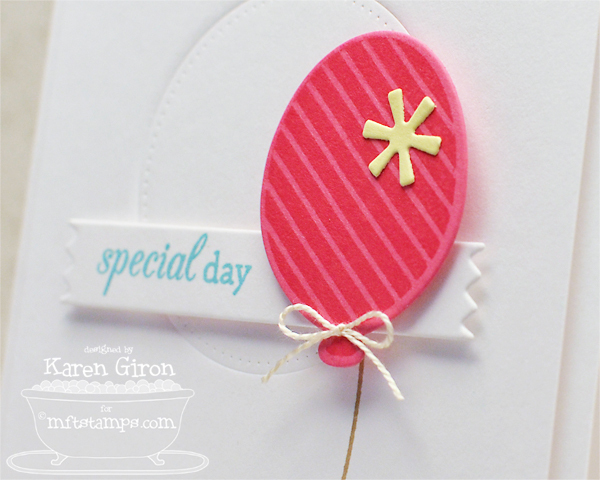 I started with a layout from CAS(E) This Sketch - CTS #36 and a color combo from Color Throwdown - CTD250. First, I cut out a 4" x 5.25" sheet of Smooth White Card Stock and then I used one of the Pierced Circle STAX Die-namics to emboss the circle in the center of the sheet. I used a Sentiment Strips 2 Die-namics for the birthday sentiment in Blu Raspberry and added a Party Balloon Die-namics in Razzle Berry Card Stock on the side. 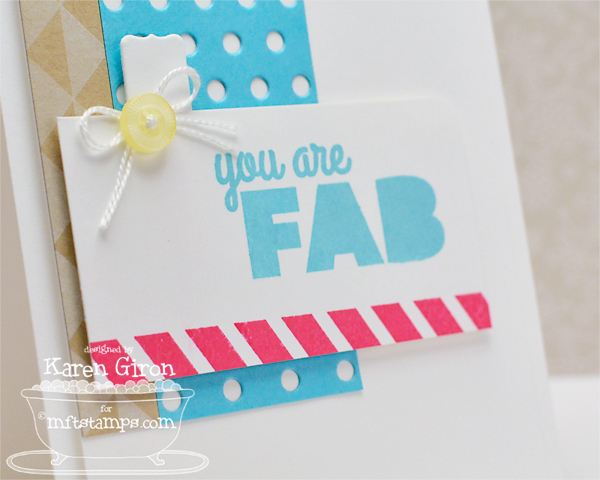 Inside my card, I stamped a striped border along the bottom with LLD Jumbo Mod Borders and added a sentiment from Bold Statements. My next card uses another sentiment from Bold Statements. I repeated the same color combo on this card and I love to balance bright colors with lots and lots of delicious white space. I started by stamping another border from LLD Jumbo Mod Borders in white pigment ink on Kraft Card Stock and then added a little Blu Raspberry piece next to it and I cut out the dots with the Dispersed Dots Die-namics die. 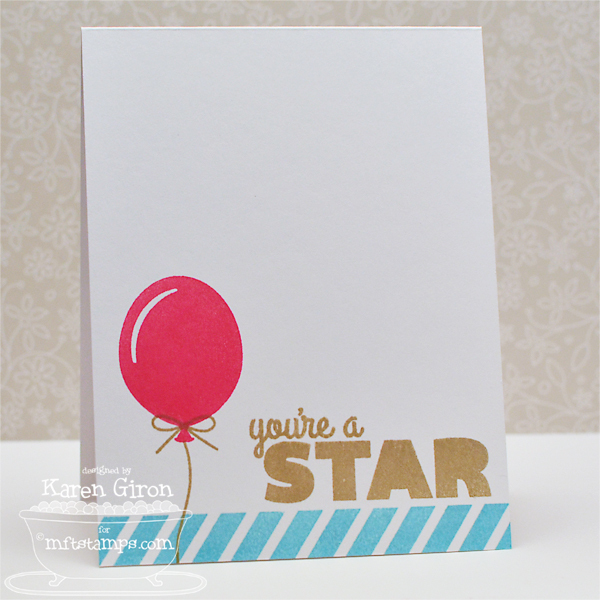 The sentiment is stamped in Blu Raspberry ink and I added a little Banana Split Button for an accent. I copied the look from the front of the card to the inside and used Bold Statements and LLD Jumbo Mod Borders. Be sure to stop by the MFT Blog for a complete list of designers playing along in tonight's Release Rewind. wow! yes, a couple of WOW clean and simple cards. Love these graphic and clean cards, Karen! Both are SO cute! I love how you used the pierced circle to emboss. I'll have to try that!